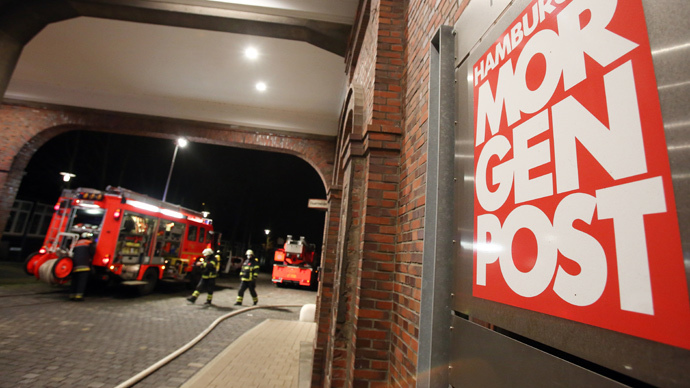 The aftermath of the recent Paris attacks: a fiery blitz on a hapless newspaper company, in Hamburgh, Germany. A company that had been foolish enough to reprint versions of the cartoon that sparked off the paris outrage in the first place. They’d made an appearance in a magazine one week ago, in the hamburger morning post, with the label “this is what freedom looks like”, caused six gunmen to rush into the office and attack. No one was injured in the attack. This was followed by the attack in Paris, when Hooded gunmen carrying Kalashnikovs stormed the office of Charlie Hebdo, a satirical magazine. 12 people were killed and many wounded. Charlie hebado delivered the coup de maitre again.